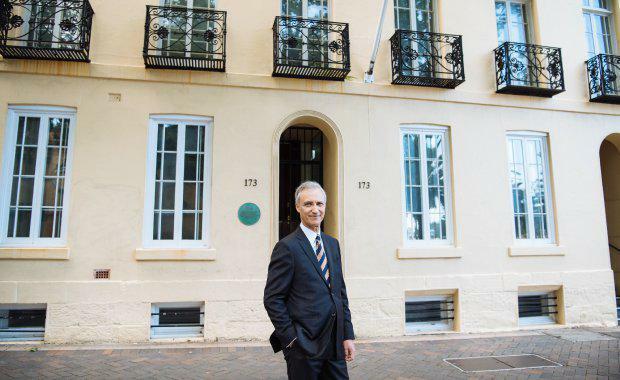 The new Ramsay Centre for Western Civilisation has leased a heritage building for its new headquarters at 171-173 Macquarie Street in Sydney’s CBD. The Centre has signed a five-year lease for 403sq m of commercial office through Colliers. “This is a unique institution celebrating the greatest achievements of Western culture and as such as we wanted to find a space which represented these values,” director of Office Leasing at Colliers International Tom Buxton said. “171-173 Macquarie Street was originally a row of six elegant houses built in 1842, with this remaining pair conserved today,” Buxton said. “However, the interior space is not heritage-listed meaning occupiers are able to design their own fit out as they wish. The Ramsay Centre for Western Civilisation, formally launched in November, seeks to reinvigorate the teaching of arts and humanities in Australian universities by promoting a deeper understanding of Western civilisation and its contribution to Australia’s freedoms and prosperity. The Centre was established in accordance with the wishes of Paul Ramsay, the founder of Ramsay Health Care, who passed away in 2014. It will work with selected universities to create a Bachelor of Arts (Western Civilisation) degree that gives students the opportunity to study the great works of fiction, non-fiction, poetry, drama, music, art, sculpture, and architecture.